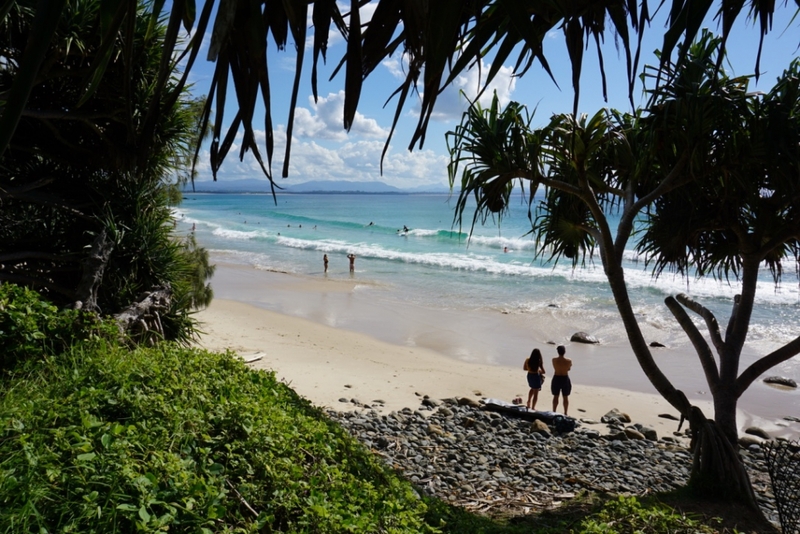 You are here: Home / Our Blog / Featured / Australia / Byron Bay has Stolen our Hearts! There’s something about its charm that draws you in and makes it difficult to leave. Like many, I’ve been brought up in a world where ‘time is of the essence’ and if you’re not constantly being productive, then you’re wasting time. Yet Byron reminds us all why it’s important to slow down, relax and just breathe. Byron Bay hosts affluent families, backpackers, surfers and of course, is well-known for its population of ‘hippies’. As the sun sets upon Byron, locals join together by the water’s edge for an impromptu jam whilst people dance freely to the drums. The sky comes alive with colour above the surfers catching the final waves before darkness sets in. This bohemian culture and freedom of expression is something that ignites creativity within us and inspires visitors to break away from the ordinary and embrace something new. Throughout the day buskers perform on the public green space overlooking the beach. It’s a little piece of paradise, so be sure to bring good company and take full advantage of the public barbecue facilities available. Or perhaps throw down an old blanket, sit back, relax and listen to the free entertainment available. For the early birds, set your morning alarm to catch the sunrise from the lighthouse. The lighthouse walk is a fantastic free activity any time of the day. However, there’s nothing better than watching the sun come up from this point. After the walk down from the viewpoint you will eventually make it back to town around 7am. Treat yourself to a freshly baked muffin from Leaf and Grain – they’re out of this world. They source their coffee from reputable roasters, which makes a delicious caffeine boost to kick-start the day. Another top spot for coffee is the TreeHouse bar and restaurant, situated directly next to our prime accommodation at Wake Up Byron Bay. This is a great hangout, designed to look like an old al fresco lounge. Acoustic singers perform here on various nights throughout the week and is even popular during the daytime, generating a buzz with the locals. 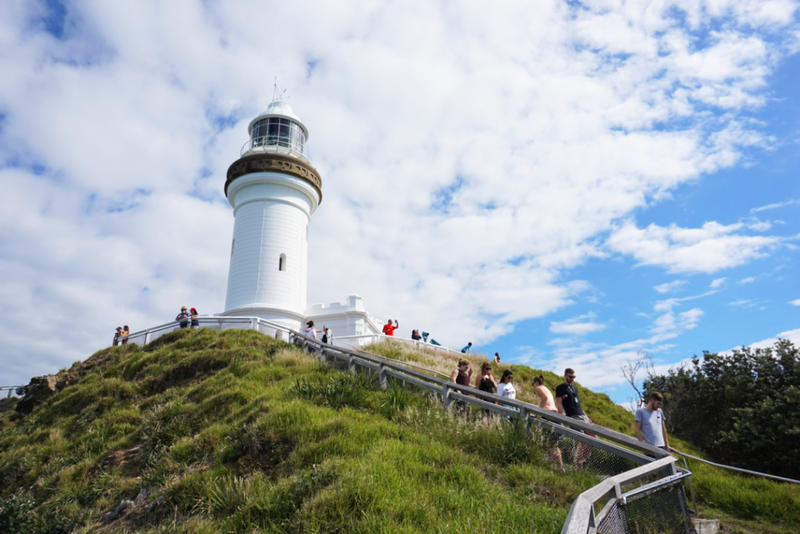 There’s an abundance of activities to try during your visit to Byron. Why not give a surf lesson a go? Or for those who love marine wildlife, dolphin kayaking is an awesome activity and a good workout. There are numerous pods of bottlenose dolphins hanging around the bay and if you’re lucky you might see some turtles and whales too! Considering a wardrobe update? Put some cash aside for the wide variety of independent stores and boutiques around Byron. Crystal necklaces, loose yet stylish clothing and handmade backpacks are just a few of the classic items you will find there. Byron also has a wide selection of nightlife options. 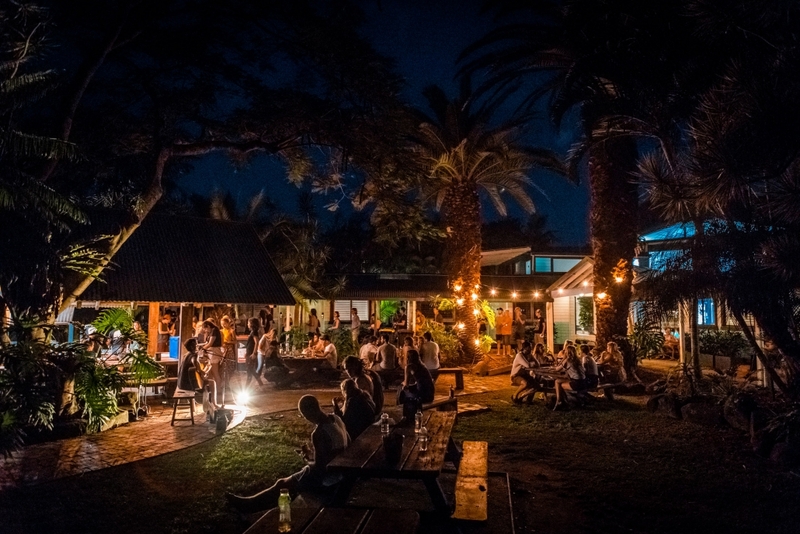 The Railway and The Beach hotel regularly host live music from 7pm-10pm and other venues such as The Northern, Cheeky Monkeys and Woody’s draw in the backpackers with cheap drink deals and upbeat tunes that are sure to get your feet moving! Our accommodation for the few days in Byron is far more than a hostel: it’s a luxurious escape situated within a stone’s throw of the beach. Recently opened within the last few months, the facilities are exceptional. Many of the rooms contain en-suite bathrooms with rainfall showers. Upgraded dorms even have bathtubs with jacuzzi jets! 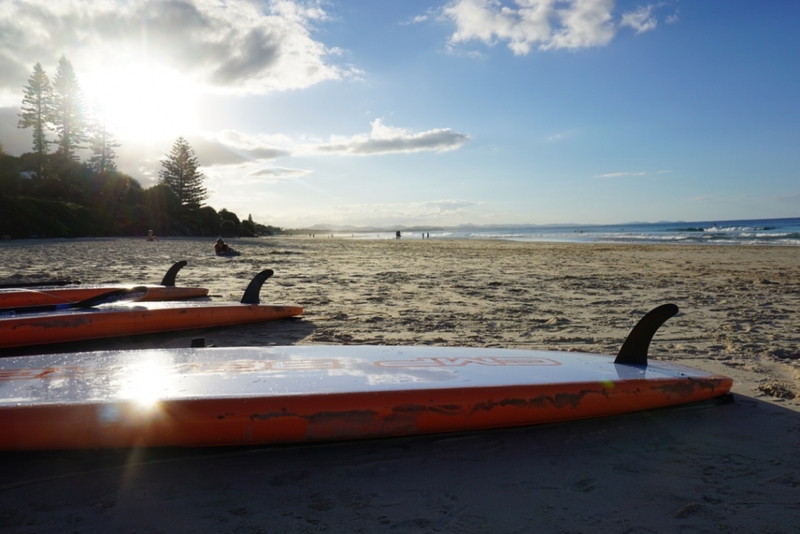 Personal training, yoga and BBQ’s are a few examples of the free activities available, additionally, guests can make use of the free surfboard, paddleboard and bicycle hire throughout the day. The first four days of our Ultimate East Coast 5 week tour are spent in this beautiful destination and we can all agree that Byron Bay has stolen our hearts. Now it’s time to move onto the vibrant city scene and experience something new. Surfers Paradise – we’re coming for you. Check out our Ultimate travellers live feed here! https://www.ultimate.travel/wp-content/uploads/2018/10/Blog-Header-Image-Byron-Bay.png 316 843 Shana Sexton https://www.ultimate.travel/wp-content/uploads/2015/01/logo-300x94.png Shana Sexton2018-10-15 15:47:132018-12-10 11:56:49Byron Bay has Stolen our Hearts!